Saturday, November 24, 2018. 10:00 am start time. Participant should be at line-up location by 9:00 am. 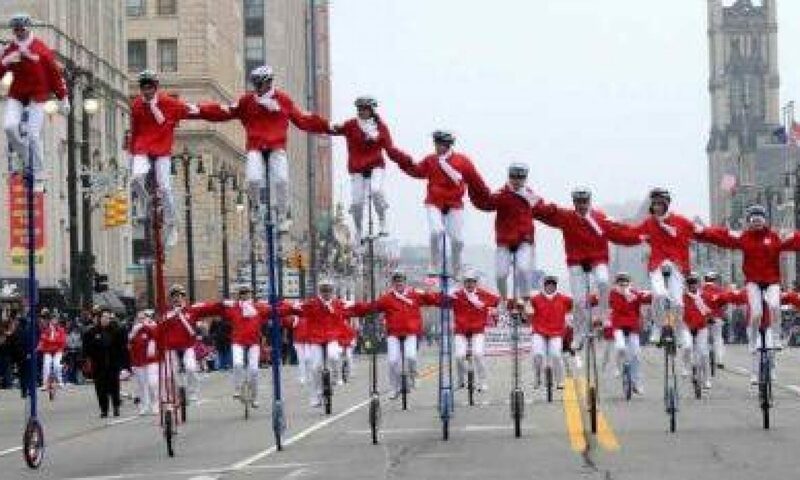 Entree: Redford Township Unicycle Club, Inc. The 2018 Garden City Downtown Development Authority Santaland Parade will be staging area in the Garden City High School parking lot. Only vehicles that are in the parade will be allowed in the high school parking lot. Those vehicles must enter at Central and Maplewood and check in. 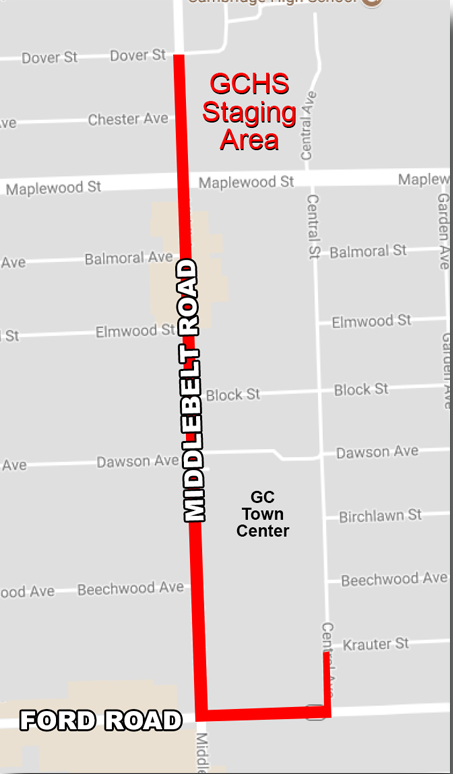 All others should park at the Cambridge parking lot on Cambridge Street and Garden Street or at the GC Hospital Harrison building parking lot on Hartel between Cambridge and Maplewood and walk over to the High School parking lot. There will be no other entry to the Garden City High School parking lot. Tip to Groups with Large Numbers only the group leader needs to check in at the “Parade Check Point/Entrance”. Before Parade Day set a predetermined designated meeting spot for your group to meet up before getting in line. Parents cannot drop off their children at the check in point. Notice to Participants and Group Leaders for Parade Day on the Route Please advise your group to follow the instructions of the parade managers, including once the parade begins. There will be a stage manager at Block and Middlebelt that will slow or stop groups to create the proper spacing for TV. There will also be a stage manager in the telecast area in front of City Hall. Your group is to stop ONLY if you are instructed to by the stage manager. The stage manager will have signs directing your group to stop or go. You must proceed forward in the parade when instructed. We realize that every group wants to stop and perform for television, but we have a large number of groups this year and we are restricted by Wayne County and the Police Department as to how long we can close the road. Also be advised, if your group is stopped or told to speed up by the lead parade official or the Police Officer at the beginning of the parade, you must following their instructions. Even though it may seem odd to stop when there is no entry in front of you, it is imperative for the spacing of the parade. If the front of the parade goes too fast, gaps are created that have a negative impact on how the parade appears to the spectators. We also remind you that the throwing of candy is prohibited for the safety of the spectators and parade participants. Please walk candy and other goodies to the curb. Michigan State Law prohibits throwing of items in a parade. Flyers of any sort can not be DISTRIBUTED in the parade or in the staging area. Thanks for your cooperation in this matter to help makes this a great parade to watch and a safe parade to be in. Attached are the maps for reference of the Staging Area and the Parade Route.